According to Verdant Power, Oceana Energy Co is blocking wave power development at as many as 12 prime sites in US waters. An article in Cape Cod Online also makes this accusation. This is an example of teething problems in regulation for an new industry. The Federal Energy Regulatory Commission’s (FERC) procedures allow anyone to apply for a preliminary permit, which effectively ties up a site for 3 years while the applicant studies the feasibility of using the site. If this process is being used, like late-90s Cyber Squatting to effectively hold prime sites for ransom with no real intention of ever developing them, the regulatory system needs fixing. The good news is that now is the time to be fixing the regulatory system for ocean power, where the technology is still in its infancy. Imagine if all the prime sites were taken up not by squatters, but by real ocean power farm using poor technology. If the best sites have to wait 5 years to be developed, and the regulatory system gets fixed in the meantime, that will probably end up being a good thing: all the best sites will then be available for much better, more resilient, higher power producing technology. According to a lawyer and family friend who did legal work for early wind farms, there are still wind turbines in Tehachapi Pass from the early 80’s which are no longer functional, never produced much electricity, but can’t be taken down, because the original investors would be hit with gigantic back taxes if they were decommissioned. 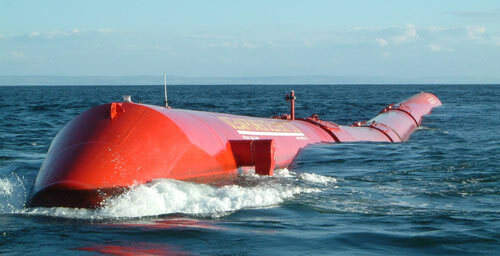 Maybe a little wave squatting will keep much of that from happening for wave power.